Widespread rioting, arson and looting across London clearly demonstrates the need in any civilized society for the right to personal protection and the tools to make it possible, the Citizens Committee for the Right to Keep and Bear Arms said today. 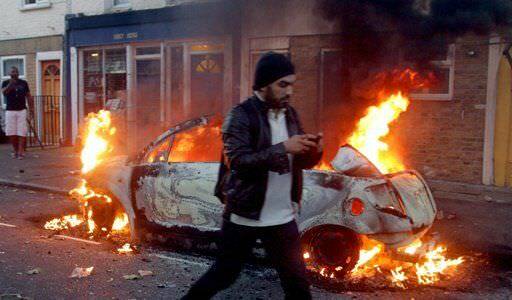 Rioting that reportedly began over the police shooting of a man over the weekend has now exploded into anarchy, leaving British citizens stunned and fearful. People have been forced to flee from their homes. CCRKBA Chairman Alan Gottlieb noted that in Great Britain, where firearms are so strictly regulated that relatively few people own them legally, and self-defense is treated like a criminal offense, citizens are literally at the mercy of the mob. Gottlieb, co-author of America Fights Back: Armed Self-Defense in a Violent Age, noted that the riots suggest far more is at work than anger over a shooting. “The Second Amendment has provided American citizens with the means, and the tools, to protect themselves, their families and their property,” he observed. “Rather than flee from their homes as is now happening in some London neighborhoods, people should be able to defend what is theirs rather than surrender the streets to a mob. “Evidently,” Gottlieb added, “Americans understand that. According to data from the National Shooting Sports Foundation, people in this country – despite the economy – are buying increasing numbers of firearms. There was an 8.3 percent rise in the number of background checks with the National Instant Check System in July over the same month last year. This has been going on now for 14 straight months, according to the data. Previous articleHow Many Rounds To Stop a Home Intruder?